Our representative will meet you at NJP railway station or IXB airport and then we will drive to the capital city of Sikkim, Gangtok. Gangtok is located at an altitude of 1650 m from the sea level on the eastern Himalayan ranges. Upon reaching, transfer to the hotel. Spend rest of the day free at leisure to acclimatize the weather. Overnight stay at the hotel. 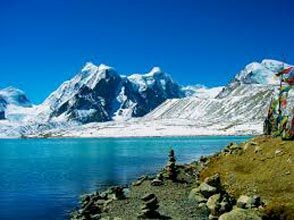 Get up early and drive to Tsongmo Lake (12400 ft), which is located 40 km from Gangtok. Tsongmo is about 1 km long and 15 m deep sacred lake. Later, we will pay a visit to Baba Harbhajan Singh Temple, which is 16 km away from the lake. Post breakfast, drive to Lachung (altitude 8610 ft & 117 km). En-route the hilly roads, lush green mountains and bubbling brooks will greet you. Further, we will halt for some time at Singhik View Point (subject to weather condition). It is 55 km from Gangtok and 04 km further of Mangan. 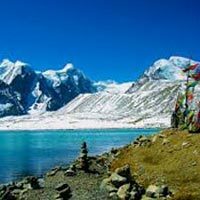 The view point offers breathtaking vistas of Khangchendzonga and Siniolchu. From here you can admire the beauty of the lush green hills with the beautiful sound of the Teesta River flowing below it. We will also visit the Seven Sisters Waterfalls & Naga Waterfalls. This day is dedicated to Yumthang Valley excursion. Popularly known as the Valley of Flowers, it is also a grazing pasture where villagers take their cattle during summers. (The Valley remains closed between December to March, due to heavy snow fall). As you enter the valley, you will we come across to a breathtaking view. Yumthang is a flat grassy valley with a rivulet flowing through it. Further, lofty mountains covered with trees and vegetation on both sides add a charm to the beauty of the valley. Herein you will be greeted by a variety of flowers, especially the Himalayan Yellow Poppy that are only find in the high regions. Return to Lachung for overnight stay. On the way back we will also visit the Hot Sulphur Spring. Upon arrival, check in to a hotel. Spend rest of the day at leisure, followed by an overnight stay. 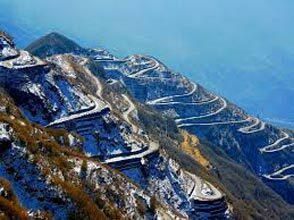 Drive back to Gangtok in the morning. En-route we will visit the mighty Bhim Nala (Fall) and Twin Falls. On reaching, transfer to the hotel. Spend rest of the day at leisure. Overnight stay in Gangtok. After breakfast, we will transfer you to NJP/ Bagdogra for your onward destination.